President gets two chances to deliver on "Kiss Cam"
President Barack Obama kisses the head of first lady Michelle Obama, left, after kissing her for "Kiss Cam" in the second half while attending the Olympic men's exhibition basketball game between Team USA and Brazil. President Barack Obama and first lady Michelle Obama needed two tries to get it right on a "Kiss Cam" Monday night. The kissy photo-op came when Vice President Joe Biden joined the Obamas and daughter Malia for USA Basketball’s exhibition match-up against Brazil at the Verizon Center in Washington, D.C.
During timeouts in the game, cameras surfed the crowd looking for couples to pucker up for jumbo TV screens. The Obamas received a mix of boos and cheers when the “Kiss Cam” landed on them during the first half and the first couple simply smiled, The Associated Press reported. 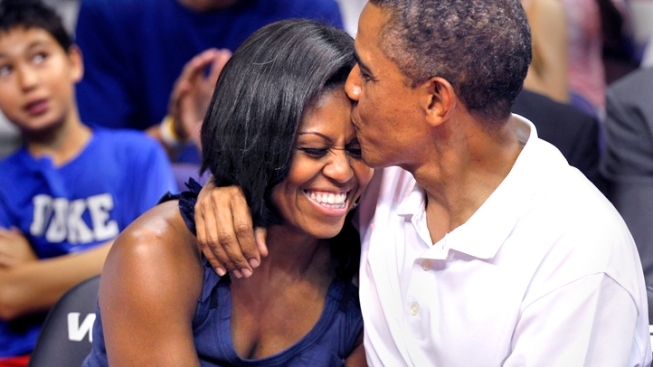 The "Kiss Cam" circled back on the Obamas during the fourth quarter. The president didn’t miss his opportunity, wrapping his arm around Michelle Obama and smooching his wife on the lips and on the forehead. 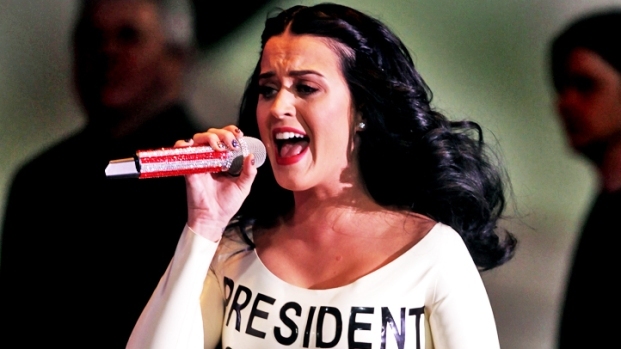 The crowd roared its approval, chanting, "Four more years," Politico reported. USA Basketball topped off night by beating Brazil 80-69. Check out the Obamas "Kiss Cam" moment and the president's take on Team USA below.